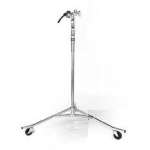 Grip + Electric :: Stands & Rollers :: Avenger Sliding Leg C Stand A2033L - Rent Digital Cameras and Backs, Lenses, Lighting, Grip, Computers And Video Gear! 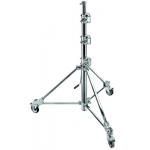 Turtle base chrome plated steel stand with 3 sections and 2 risers. 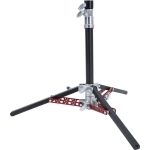 It features one sliding leg to keep the stand steady on uneven surfaces. 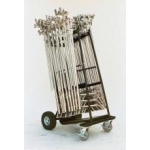 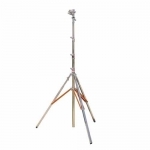 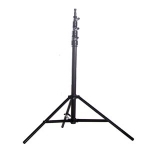 This C stand has a maximum payload of 10kg and maximum height of 3.28m.